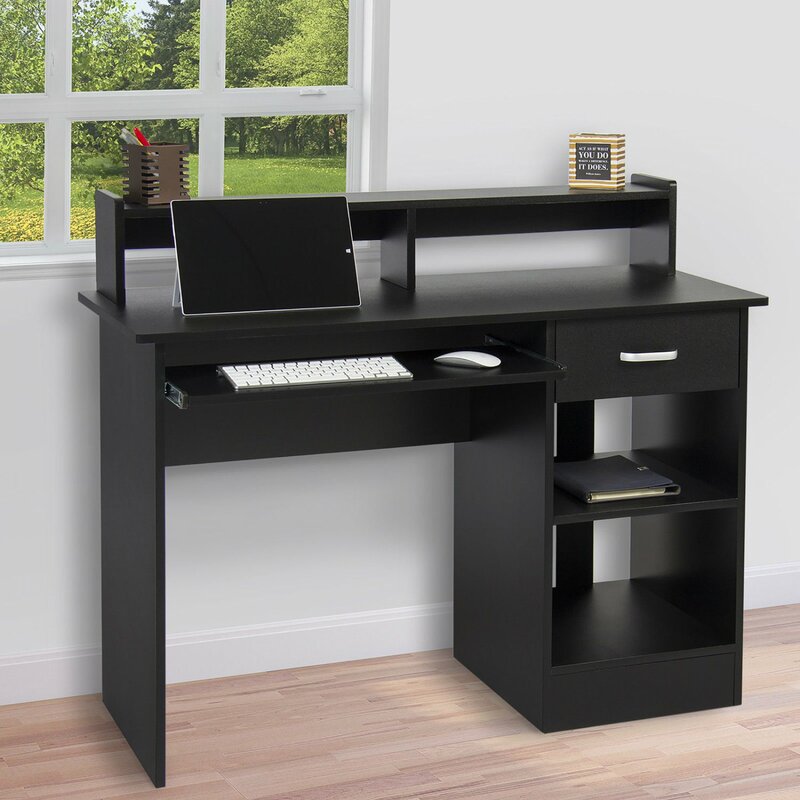 This desk will help you accomplish any necessary work and be more productive. The desk provides the necessary space to accomplish task and still remain organized. It contains two built bookshelf on top of the desk that are each 18” (w) x 6” (h) and can hold reading books. Beneath the table there is a pullout table that can be used to place a keyboard and a mouse. Next to that, there is a pull out drawer which can store desk supplies and other necessary accessories. Below that drawer there are two additional shelves that can store larger textbooks. The divider can be removed in case a computer tower needs to be stored.